In a 2008 paper, physicist and former Mazur postdoctoral fellow, Nathaniel Lasry demonstrated a surprising result from a study on classroom response systems (CRS) in a Peer Instruction (PI) environment. Lasry’s result? 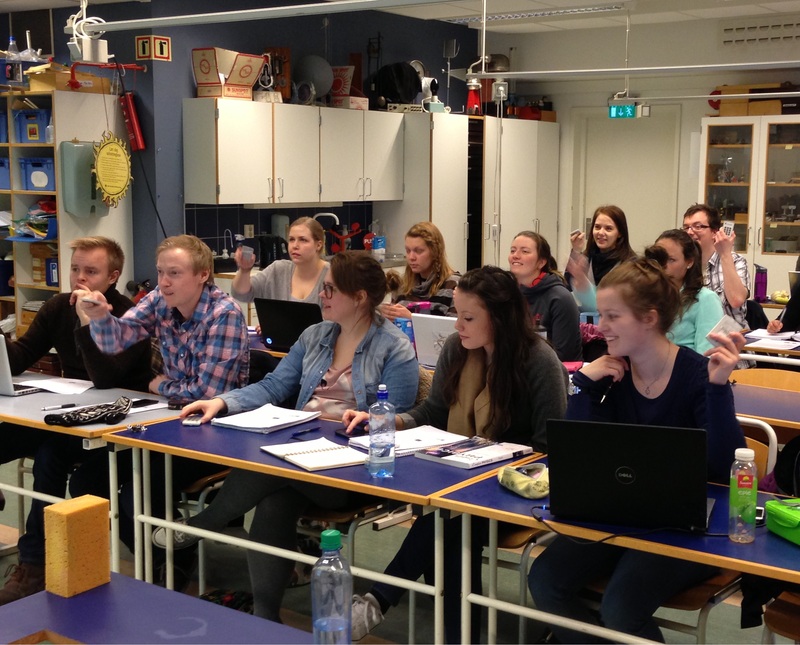 Despite the rapid scaling of high-tech CRS, such as clickers, their use in his undergraduate physics classroom did not seem to influence learning outcomes over less-techy alternatives, such as flashcards. Indeed, Lasry found that when it came to performance on 1) the Force Concept Inventory, a common standardized test in physics, and 2) end of term exams, there was no statistically significant difference between the class section using flashcards (n=34) and a separate class section using clickers (n=41). Lasry, who is a PI expert, was the instructor for both courses. To note: the sample size was quite small, and the study has not been replicated with a larger group. What wasn’t a surprise in Lasyr’s study, however, was that PI “is an effective instructional approach that is independent of the use of technology such as clickers.” In Lasry’s research, students exhibited notable learning outcomes in both sections taught with the same underlying pedagogy: PI. This is a message I have been trying to hit home along with Mazur and other flipped classroom specialists: It’s not the technology that’s important, it’s the pedagogy. That said, there are many benefits to using clickers including that students seem to prefer the anonymity provided by the devices, and instructors appreciate the ability to capture, store, analyze, and make use of clicker data. 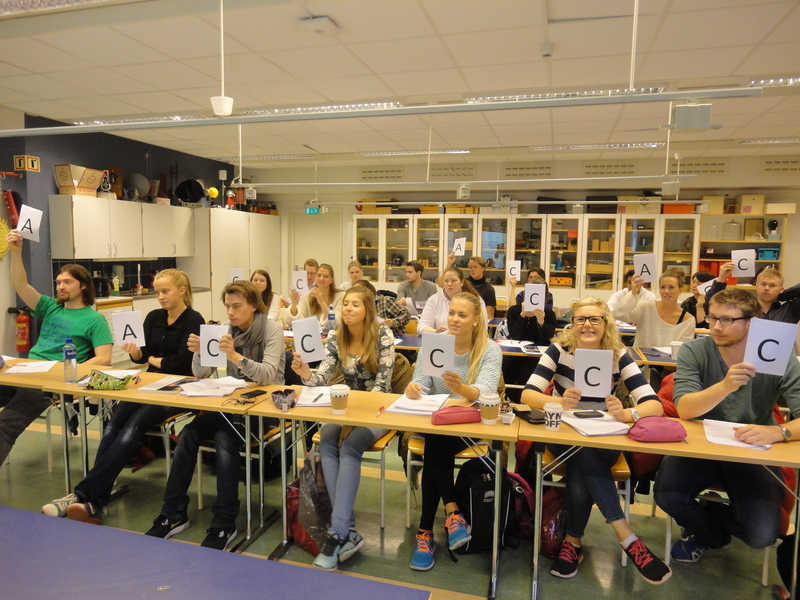 In 2013, Peer Instruction Network member Christine Lindstrøm, an instructor of pre-service science teachers at Oslo and Akershus University College of Applied Science in Norway, decided to move from flashcards to clickers. In proceedings just published yesterday, we write about how Christine transitioned and the lessons she learned. Here are her eight practical tips from her experience transitioning from flashcards to Turning Technologies clickers. Read the full proceedings to learn about her first-timer blunders and her successes. 1. Begin with an introduction to the [clicker] system by an expert, if possible. 2. Try out the system to familiarize yourself with the software. Create a participant list in the software, and check that all clickers function properly. Identify questions and challenges. 3. Consult the expert with your particular questions and challenges. 4. Try out the system in the room where you will use the clickers with your class. If possible, have a trial run with colleagues or a small group of students. 5. In class, remember to register the session on the particular participant list you have created for your class. 7. Hide the graph for the first poll until after students discuss the question. Only display the graph after the second poll, and then show both results on one comparison graph. This matters most when the question has a right answer or when there is a large percentage of votes for one response. Showing the results to the students after the first vote may bias their second vote. 8. Remember to save the session before closing the software. After this experiment, Christine reported: “This project has resulted in at least one converted instructor who will never go back to traditional teaching methods – or flashcards!” (p. 17).